Temperatures today started nearly 20 degrees warmer than yesterday morning. 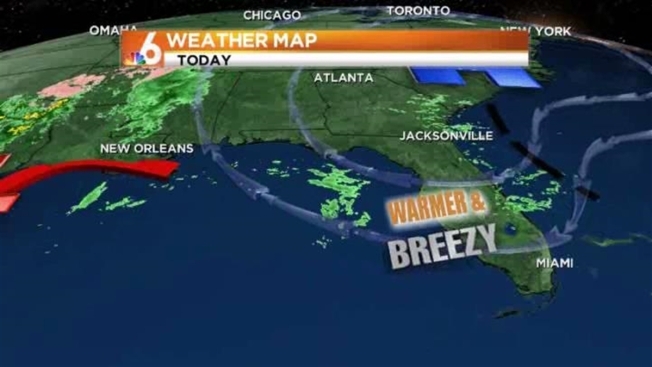 Today will be breezy, with a chance of isolated showers. Highs will be in the low 80s. There will be a high risk of rip currents. The start of the work week will bring an increasing chance of rain for the first half of the week. Highs will be in the low 80s. A cold front will bring cooler temperatures by the end of the week.